Is ACORN Intentionally Structured As a Criminal Enterprise?" 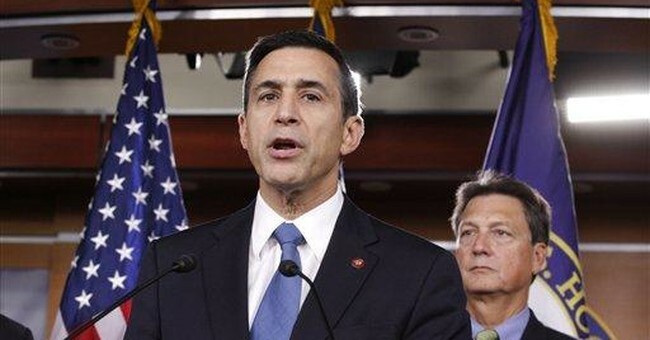 is the title of a July 2009 U.S. House Committee on Oversight and Government Reform report by Congressman Darrell Issa. The report draws some shocking conclusions: "The Association of Community Organizations for Reform Now has repeatedly and deliberately engaged in systemic fraud. Both structurally and operationally, ACORN hides behind a paper wall of nonprofit corporate protections to conceal a criminal conspiracy on the part of its directors..."
It is a shocking statement to absorb: "to conceal a criminal conspiracy." Yet you won't see this on your TV unless you happen to be watching Fox News. Others are refusing to report this corruption. America is a country that is dependent on a dynamic, bombastic, independent and informative free press. During every period of great change and trial, we have relied on the honesty and unbridled courage of America's press to help us find solutions to our problems. Pamphleteers helped launch the American Revolution. Abolitionist newspapers played a central role in ending slavery. Muckrakers' stories of meat-packing workers falling into rendering tanks and being ground, along with animal parts, led to child labor and food-safety laws early in the 20th century. From Teapot Dome to Watergate, we depended upon a free press to uncover government corruption at every level. President Teddy Roosevelt captured this American tradition in 1906 when he said: "I hail as a benefactor every writer or speaker, every man who, on the platform, or in book, magazine, or newspaper, with merciless severity makes such attack, provided always that he in turn remembers that attack is of use only if it absolutely truthful". But now this fine tradition has been abandoned by those Rush Limbaugh calls the "Drive-by Media". Instead these reporters, editors and publishers have prioritized advancing a left-wing agenda ahead of the truth. And to advance an agenda, they must control the news, not report it. Their first tactic is to simply ignore a story. In most cases, it works. But when it comes to questions regarding ACORN, it hasn't worked because Glenn Beck and some other courageous journalists have refused to let the story die. When ignoring the story doesn't work, the next recourse is to distort or spin the news in order to regain control over the story. This didn't work either. The Pew Research Center for People & the Press found that 74 percent of Americans surveyed think news stories "tend to favor one side of an issue over another, up from 66 percent two years ago." Americans see through the distortions. "If people believe that news reports are often biased, they will say they're inaccurate," says Pew Director Andrew Kohut . With the ACORN scandal, the secret filming in ACORN offices by twenty-something journalists James O'Keefe and Hannah Giles, they have caught America's attention. These brave young people have done the type of gutsy journalism that used to be the domain of once-powerful "60 Minutes" on CBS. Ironically, the media that used to catch this type of corruption have instead had the audacity to attack O'Keefe and Giles for entrapment. The impotence of this once-powerful force, America's mainstream media, is embarrassing. Today "60 Minute"s is the domain of the most slavishly pro-Obama interviews and propaganda. The mainstream media are hoping that at some point in the process, the American people will tire of the ACORN corruption issue and simply move on. This is what happened with the Monica Lewinsky and corruption scandals of the Clinton presidency. Whether this happens or not to the ACORN fraud and criminal activities problem is up to all of us. Will we succumb to fatigue before we hold the media and the officials they are protecting accountable? This question remains to be answered.